FX (originally an initialism of "Fox extended", suggesting "effects", and stylized as fX from 1994 to 1997) is an American basic cable and satellite television channel that is owned by FX Networks, LLC, owned by the Fox Entertainment Group division of 21st Century Fox. FX´s programming primarily includes original drama and comedy series (which aspire to the standards of premium cable channels like HBO and Showtime, in regard to adult themes and higher-quality writing/directing/acting), and reruns of theatrically released feature films and "broadcast network" sitcoms. As of February 2015, FX is available to approximately 95,033,000 pay television households (81.6% of households with at least one television set) in the United States. 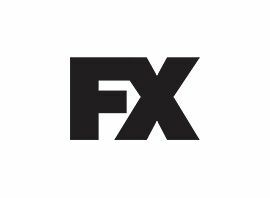 In addition to the flagship U.S. network, the "FX" name is licensed to a number of related pay television channels in various countries around the world. FX´s most popular original series past and present include The Shield, Nip/Tuck, Damages, Sons of Anarchy, The Strain and American Horror Story, as well as the comedies It´s Always Sunny in Philadelphia and The League. The channel also heavily relies on theatrically released feature films from 20th Century Fox and other film studios (such as Columbia Pictures and Paramount Pictures), which take up much of FX´s primetime and the majority of its weekend schedules; it also airs repeats of network television sitcoms (such as Two and a Half Men and How I Met Your Mother). From the late 1990s to the mid-2000s, acquired programs broadcast on FX largely consisted of series that were originally broadcast on Fox between the late 1980s and the 2000s (such as That ´70s Show, Married... with Children and In Living Color).